Continuing my critiquing of Jim Lee's art on the Justice League, this is my rendition of a Parademon, Darkseid's personal foot soldier. 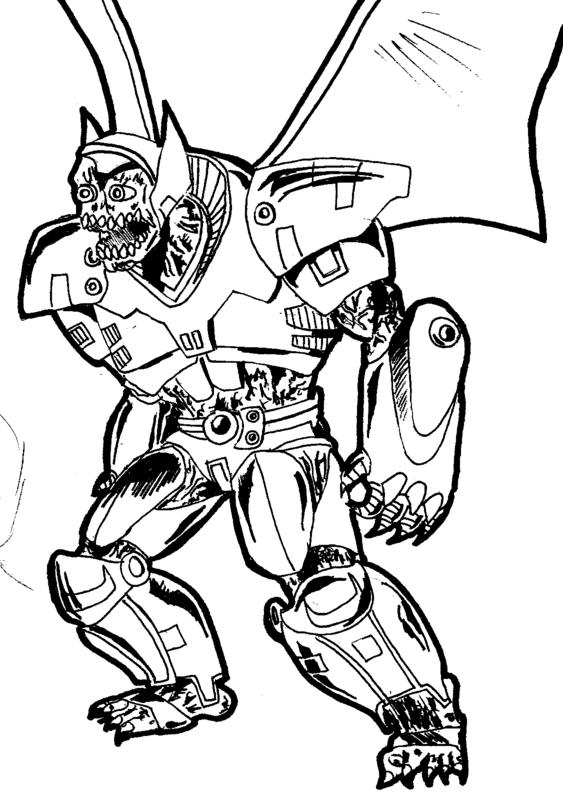 And at the risk of sounding redundant, Jim Lee's redesign of the Parademon is lacking. It has way too many intricate lines and looks too busy. It is so overly complicated, not even Lee draws the Parademon the same. They literally change every panel. My redesign made it simple and eliminated the unnecessary lines. Disclaimer: I am a huge fan of Jim Lee's art. But he has a terrible design sense.